We launched our ‘Making Democracy Work’ campaign two months ago and since then we have undertaken different kinds of activities to bring in voter education. We felt that it was time to take our campaign to the next level and meet the voters on a one-to-one basis and explain the importance of choosing the right candidates and staying connected with the elected representatives even after the elections. Our plan was to walk through the city and villages, talking to the people as we walk by, addressing people at street corners, having street plays and singing awareness songs. The first of our walks was on 18-Dec (Wed). 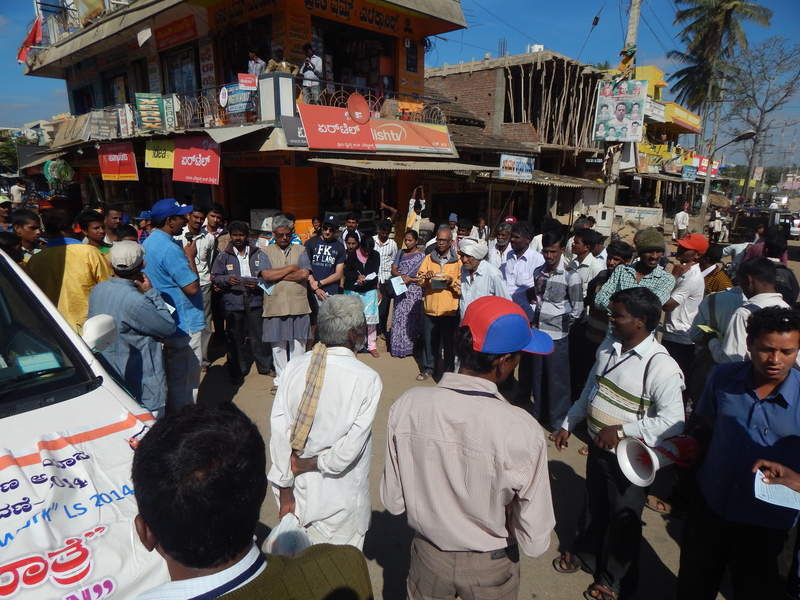 More than a hundred of us walked from Mysore city to Jayapura village. We walked around 22 km and visited 7 villages, interacting with about 10000 people along the way. We could see a distinct difference in the way people in urban Mysore and the rural areas received our messages on participatory democracy. The rural youth were more enthused and interested. They had organized themselves into small groups and received us with flowers, garlands, lemons and fresh fruit juices. One group at one of the villages had also organized lunch for all of us. 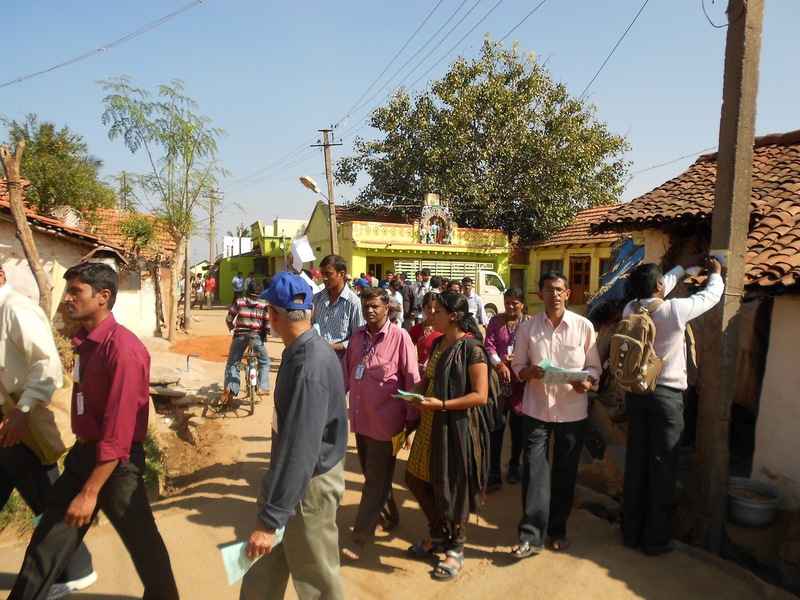 The second walk was held on 23-Dec (Mon) and around 80 of us walked from Piriyapatna town to Doddabellalu village. We walked around 22 km and traversed through 9 villages and interacted with about 15000 people. The quality of discussions and the engagement with the people here was higher than the previous walk. We saw so much hope in the eyes of people and the desire for change in their hearts. The youth were very articulate in their expectations for the forthcoming Lok Sabha elections. Many of them saw the Delhi verdict as the harbinger of the change in the country itself. A few were hopeful that the mainstream parties would be serious on fielding well-meaning and honest candidates. If this hope and energy lasts long enough and translates as meaningful participation of the electorate in the coming months, then I am sure Democracy will become healthier and meaningful. Previous Article Is Indian Democracy getting healthier?